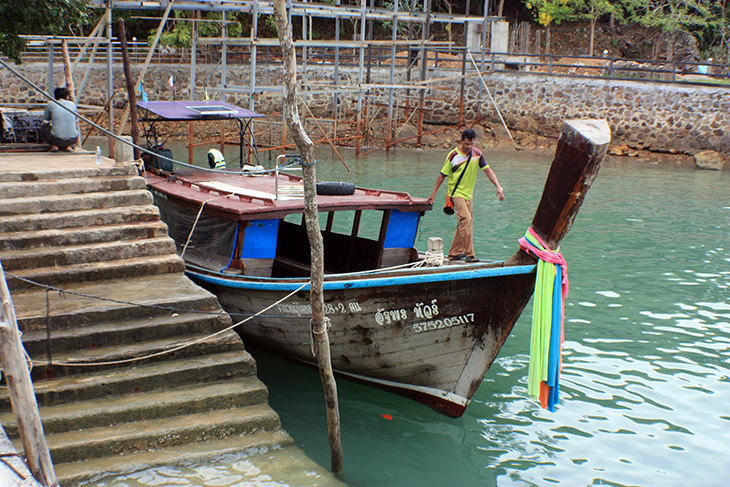 …The Lengthy Move To Ko Yao Noi. Oh dear. It’s three months since I last added an article to Twitterings. I knew I’d be offline for a while, but I didn’t expect it to be that long. Thanks for sticking with me. I think I mentioned in some articles a while ago that Twitterings was moving. It’s been a bit complex and painful, but is mostly complete. I hate to pay people to do things I can do myself, so Bert and I have been busily crossing the country and steering carefully onto the car ferry in Krabi province, for the one hour crossing to Ko Yao Noi. It’s not a typical RoRo ferry unless rolling on backwards fits the definition. It’s all a bit primitive really, and you can never be 100% sure the boat will be there at the appointed hour. 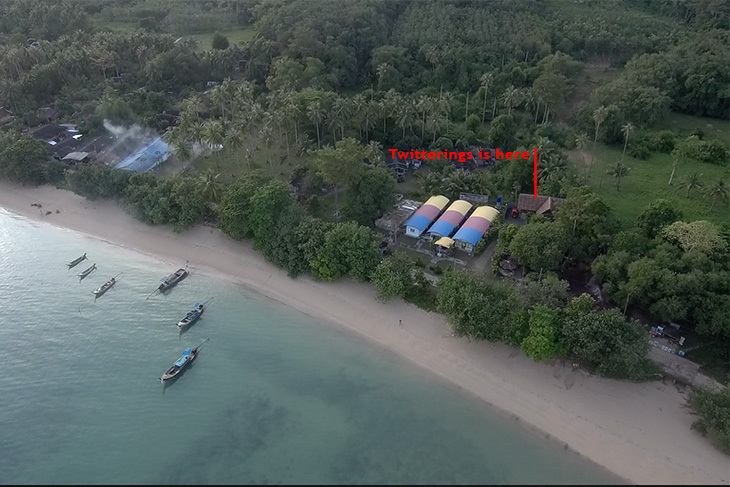 There’s been a few crossings from the island to Krabi that have been delayed by everyone having to visit the mosque for early morning prayers. One time I couldn’t reach the island because the ferry had broken down. For a week! And I hear yesterday’s sailing from Krabi left an hour early because the scheduled departure time coincided with a very low tide, and there wouldn’t have been enough water for the boat to move. Luckily I haven’t experienced this. The words “Oh, it left an hour ago” when I have a fully-loaded truck, would not make me a happy home-moving person. So, I’ll try now to get back to a regular posting schedule – at least once a week. I have a few articles lined-up in the old brain. I just need to find time for the tipitty-tappity on the keyboard, plus some photoshopping of pictures. But, I think the scope of Twitterings will change a little. Let me see, what would be the best adjective for being stuck on a tropical island? Marooned. Well, not exactly. 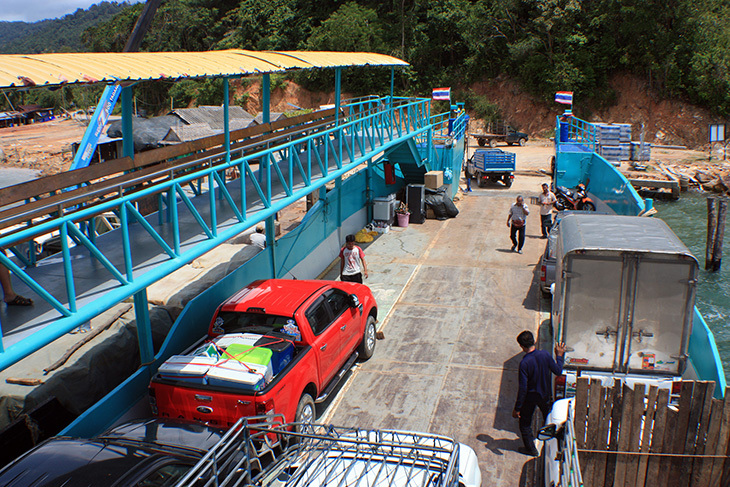 There are regular longtail and speed boats to Phuket, Krabi and Phang Nga; but the car ferry is only daily, and not cheap. So, for the most part my tootlings and posting will be limited to island life. I don’t think the articles will be boring, just different. I’ve quickly discovered that many things are not available here, and many that are available (including beer … arrrgghh!) are 25% more expensive, so Bert & I will be making regular trips to the mainland, starting as soon as this Friday. Some of those I will extend into mini-vacations so I can tootle around the west coast provinces, many of which I have only driven through. My printer has just, rather inconsiderately, run out of ink. Need a cartridge? Go to the mainland. I enquired about buying a few pieces of wood for a project I’m working on. “Don’t buy here. Crazy price” I was told. Go to the mainland. So I’m going to have to keep a “To Buy” list, that when it reaches a full page, I’ll need to head over to Krabi. Okay, I can go by speedboat to Phuket in about 15 mins, but the taxi prices there are nuts. 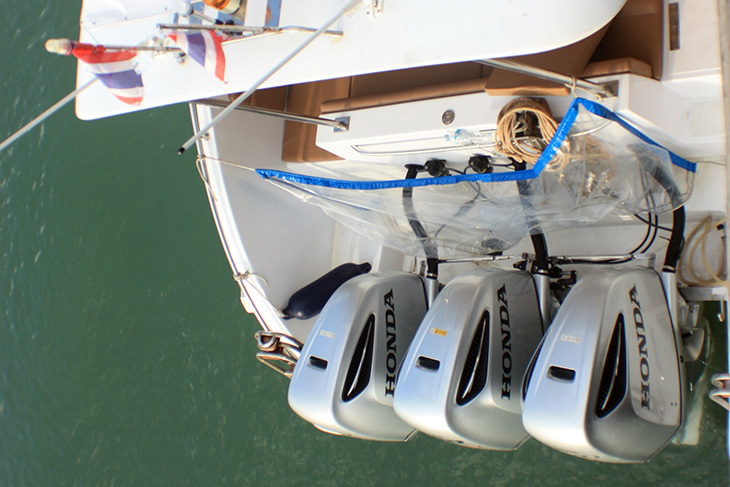 These are what put the speed in speedboat. 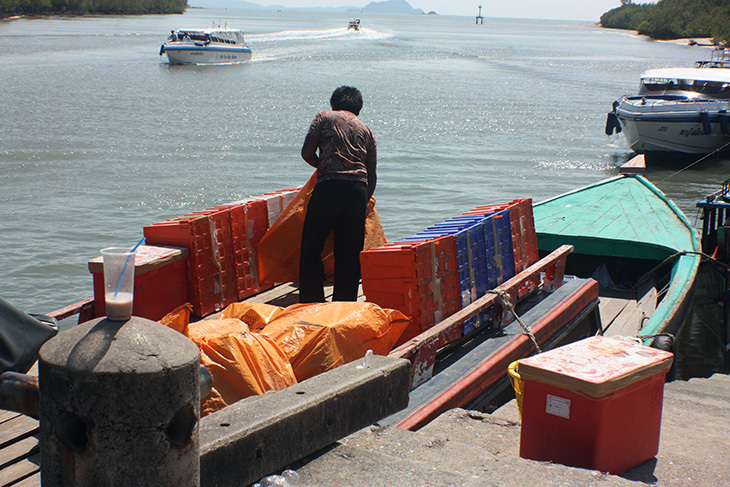 Plus, anything purchased has to be hand carried onto the ferry and stored somewhere. For anything large, it seems a bit impractical. But that’s how pretty-much everything gets here. There’s some local veggies, meat and eggs, but other than that, everything arrives on a ferry. Anyways, in addition to moving, I have still been drone flying. As always you can find links to the videos in the menu above. And, I’m working on setting-up a new company, so things have been really crazy the last few months. I tried early retirement at seventy and didn’t really like it, so I’m looking forward to having a Work Permit and getting back to some kind of regular employment. I hope that won’t interfere with Twitterings, but rather will generate some new blog fodder. That’s it. Normal Twittering will be resumed real soon now, if not really sooner.